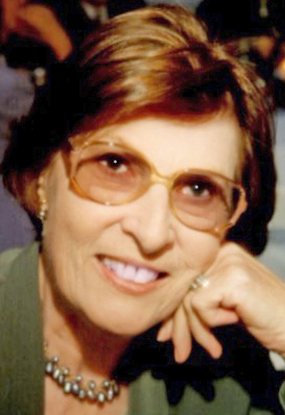 Services are scheduled for 1 p.m. Saturday, March 12, at St. Paul’s Episcopal Church for Phoebe Jane Welch of Antioch, Calif.
Welch, 86, passed away in her sleep at 2 a.m. Feb. 29, 2016, at her home in Antioch after fighting a 12-year battle with cancer. Interment will follow the services at the Welch family plot at Woodbine Cemetery. A reception will be held following the interment at the home of Cynthia Phillips, 2401 W. Fairgrounds Road, Artesia. Phoebe was born at 2:10 a.m. Aug. 12, 1929, in Carlsbad to Wendell N. and Marion (Condrey) Welch. She attended boarding school when she was 13 at Radford School for Girls in El Paso, Texas, and graduated in 1947. Following high school, she attended Sarah Lawrence and the University of New Mexico. She married William Vance Haldeman and lived most of her life in Artesia. She could always be seen at the Artesia Country Club playing golf and was known to enjoy beating the men at a round of golf. She doted on her children and loved her family. Her big, booming laugh could often be heard from the next room, and she was smart and funny, and the kind of person people gravitated to. Phoebe moved to California with her daughter, Ellen, and son-in-law, Shawn, after her grandson, Griffin, was born in 2000. She was diagnosed with Stage Four metastatic cancer in 2004 but fought like a tiger and beat it back until she relapsed in 2014 and finally succumbed. Survivors include her five children, Mia Ellen McDavid, husband Glenn, and their children Tom, James and Nicholas, Cynthia Phillips, husband Glenn, and their children Austin and Ashley, Vance Malcolm Haldeman and his son Cory, Roger Kent Haldeman, and Ellen Skylark, husband Shawn, and their son Griffin; and two great-grandchildren. In lieu of flowers, the family suggests memorial contributions be made to RAINN at donate.rainn.org.